As a regular feature in ProWax Journal, this month’s Artists & Community is Milisa Galazzi’s (MG) interview with artist Jane Guthridge (JG) about her upcoming residency at the Jentel Artist Residency Program in Wyoming. 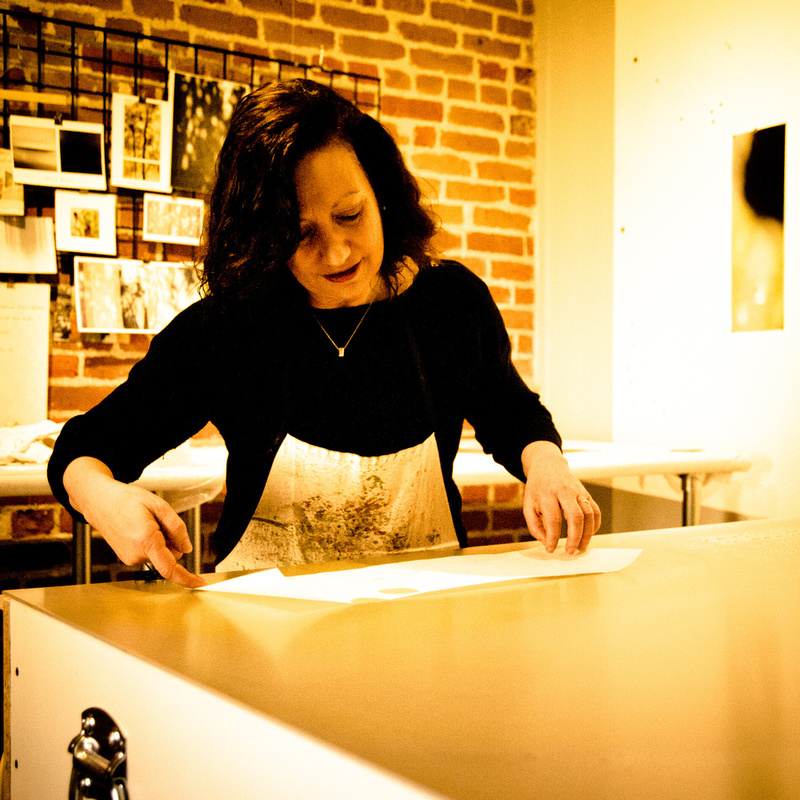 MG: Jane, thank you so much for taking what I am sure is precious time to share with the PROWAX Journal readers a little about your preparations for your upcoming artist residency. You are in the process of preparing to go on your first artist residency, is that correct? Which one is it, how long will you be there, and why did you pick this particular residency? JG: Yes, this will be my first artist residency. I will be at Jentel Artist Residency in Banner, Wyoming for one month starting in mid September. I was interested in a residency at Jentel because it will offer me the gift of natural beauty and time. My work is about the changing quality of light in nature and the transcendent experiences light creates. Being in a beautiful natural setting with expansive skies away from my day to day routine will offer me time to think, try new things and push my work forward. MG: Talk a little bit about the application process. How long did it take to prepare the application and would you do anything differently now that you have gone through the process of applying? JG: At Jentel you are selected on the basis of your work and “the development or promise of a personal vision or voice.” This residency is about process not product, so I didn’t have to show a specific project that I was going to complete while there. My main concern was having good photographs showing a cohesive body of work that expressed my personal vision. The written application is very short. Most of the process is trying to edit your thoughts down to two or three sentences. I did call them a couple of times because I didn’t understand what they were looking for in their question. I was glad I called because I completely misunderstood the question. MG:As you are presently preparing to leave for this residency, what are the kinds of things that you’re doing to “bank down” and leave your day to day life to make room for this extended period of time away from your home and studio? JG: I have a show in Chicago right after I get back, so I am busy preparing for that. My plan is to have all the work shipped before I leave. I want to be able to use the residency as a time to explore and try new things (and the inevitable failures that go along with that) without the stress of an upcoming show. MG: As you are packing for this exciting trip, what types of things are you bringing and why are you choosing those things, both studio supplies and personal items? JG: My biggest question is what studio supplies I am going to take. I am currently working on small studies, experimenting with other media to see what I want to take with me. My current work is created on a large 40×60 heat table that I can’t take with me, so it is a bit of a forced change, which is one of the reasons I wanted to go to Jentel. There aren’t any art suppliers near Jentel, so this is a big concern for me. I did get a great tip from another artist who was just at a residency in the area – Amazon Prime – art supplies in two days, free shipping. For personal items, I got some new headphones (required in your studio), new music, I’ll take a yoga mat, a good book and I’m thinking about stationery and postcards. Jentel is pretty isolated, no phone reception etc, so I’m think about taking up the lost art of writing letters. MG: As you set out on this art adventure of a lifetime, what kinds of things are you thinking about and how are you feeling? Could you summarize all that is going through your mind and your heart right now? JG: I feel a little bit like a kid going to camp for the first time – excited and a little bit nervous! MG: What else would you like to say about your preparations or your anticipation for this artist residency? JG: One of the things I did to prepare for this residency was to reach out to ProWax and ask for advice. I found some people took very little with them as supplies, some everything they could, some just sketched and came up with ideas and others created entire bodies of work. The one thing I did hear from many, and will take to heart, was to go with an idea in mind and be prepared to completely let it go.